Albert the Alien and friends are in trouble! 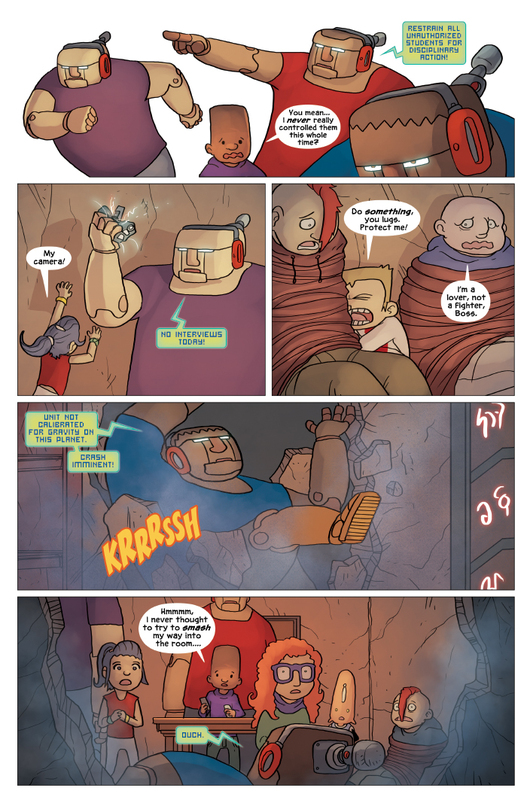 Miranda’s camera is crushed, robots are flying through walls, and yes – total chaos has ensued. However, in that chaos it looks like the wall was smashed next to that mysterious alien looking door. What could be inside the room, I wonder? We’ll find out in the next thrilling update of Albert the Alien!